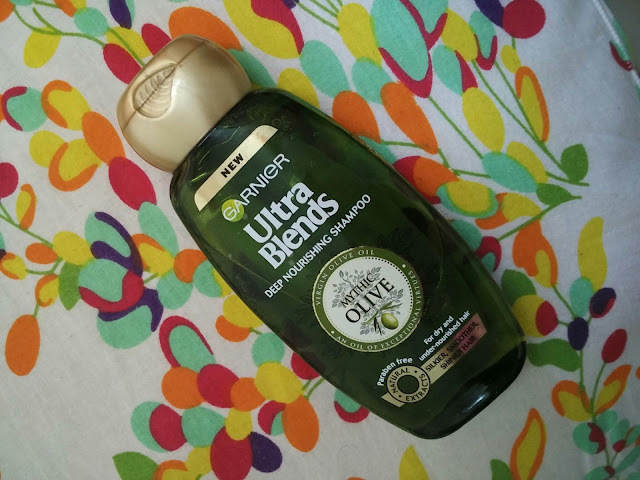 I've always shared reviews of products that I've really liked, on my blog. But Blogging for me isn't only about sharing information about products I like; I feel that if there's something that I've tried several times and still hasn't worked for me, it's got to come up on the blog too, so that you all can make an informed decision. 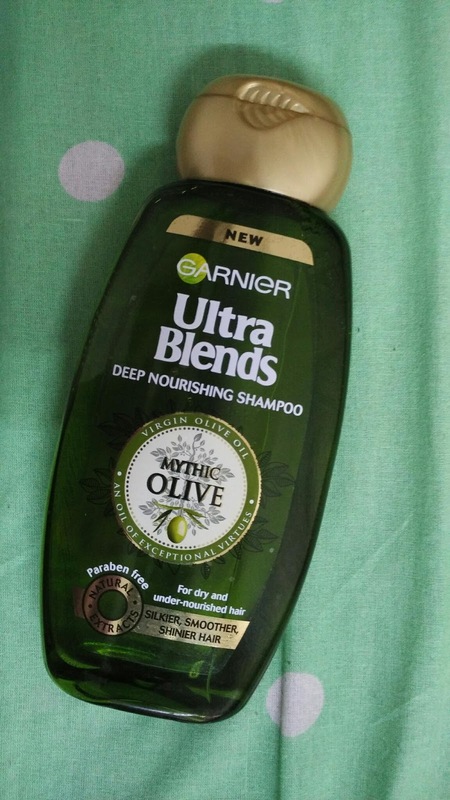 I'm here today to share my views on the new Garnier Ultra Blends Shampoo in Mythic Olive. **spoiler alert** I don't like this one.. and I mean AT ALL... :-( Read on to know why. Scent - It's got a lovely, olive-ey fragrance to it, which made me get this variant in this first place. Beautiful packaging - Great job on the packaging. In fact, all the variants in this range have an attractive packaging that is very different from each other. Price point - ₹120 . The budget-product junkie in me did a lil dance in the aisle. Product claim - Since it said that the shampoo was for dry & under-nourished hair, I was more intriguied. It said that it could make the hair silkier and smoother. I thought wow! sounds great for my kinda hair. Paraben Free & has Natural Extracts - I was really happy to know that the product was paraben-free. That sealed the deal for me & the shampoo successfully made it's way into the shopping cart. Makes hair extremely dry and frizzy - BBBIGGG turn-off!! I can actually feel my hair getting extremely dry and tangled during the wash, yes you heard it right...DURING the wash. I dunno if I got a bad batch product, or it's just my hair but I have other shampoos doing at least 50% of what they claimed in terms of smoothening & softening...certainly didn't expect this one to do the complete opposite. :-( I wanna cry now...!! Have you tried out the Garnier Ultra Blends Shampoo in Mythic Olive? How was your experience? Let me know your thoughts on it, in the comments section below. Until the next post folks, Ciao..! !